We share our farm with lavender enthusiasts during business hours. 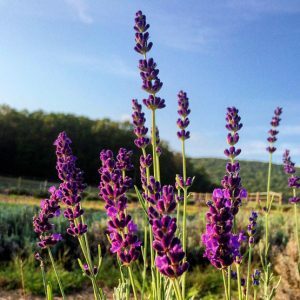 Read below to see some of the things you can experience at Hope Hill Lavender Farm. Essential Oil is extracted by steam distillation from the fresh flowering tops. In order to get the best results, this has to be done at the hottest part of the day. Our process ensures the highest quality essential oils are extracted. And, fun fact, it takes eleven pounds of lavender flowers to make just one ounce of lavender essential oil. Pure Essential Oils contain many different components and things made by nature that cannot be duplicated artificially. We have learned on our journey about the benefits of using naturally scented products and avoiding a product that lists fragrance or perfume to scent the product. 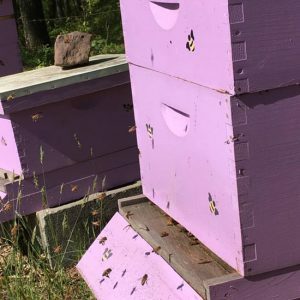 We keep bees at Hope Hill Lavender Farm. Seasonally we have our raw honey and take pride in the superior quality of the raw honey. We are a certified Pennsylvania Pollinator Friendly Garden. All of our lavender is hand-harvested with extra care taken to ensure quality every step of the way. 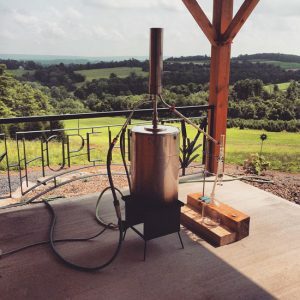 Most of the lavender we harvest is used in the distillation of essential oils. 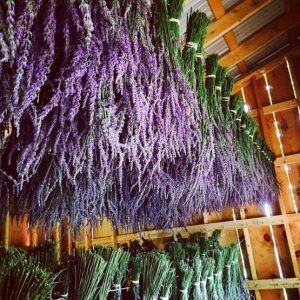 Lavender is also taken to the drying shed where it is bundled and hung upside down to be dried for future use in dried bouquets, sachets and culinary. On the farm, we currently have several different cultivars of lavender. 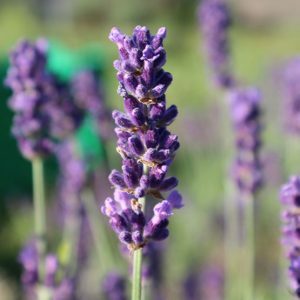 Lavender must be propagated through cuttings to be true to its cultivar. We propagate our own plants here on our farm to keep everything we make locally sourced and organically sustainable. We have two rescue horses, as well as a pony. 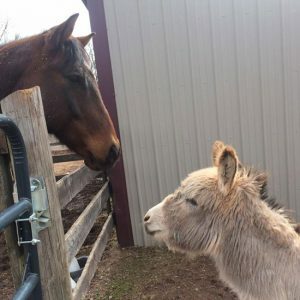 We have miniature Mediterranean donkeys that came to us secondhand from another lavender farm as well as five laying hens. Our farm animals will be introduced at the end of our farm tour for their safety. Lavender is an herb such as parsley, sage, rosemary and thyme. It is a member of the mint family with a lovely scent and unique flavor. It can be used in the kitchen in many ways, from seasoning salmon to the main ingredient in various sweet concoctions. See our recipe page for some tasty ideas. 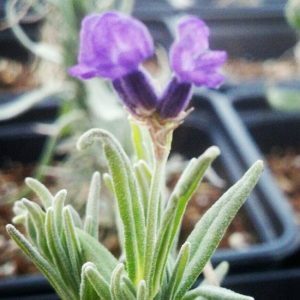 Our lavender plants will be available at our 2019 Annual Mother’s Day plant sale May 11th & 12th. We are hoping to have new cultivars available with all we propagated for the 2019 season. 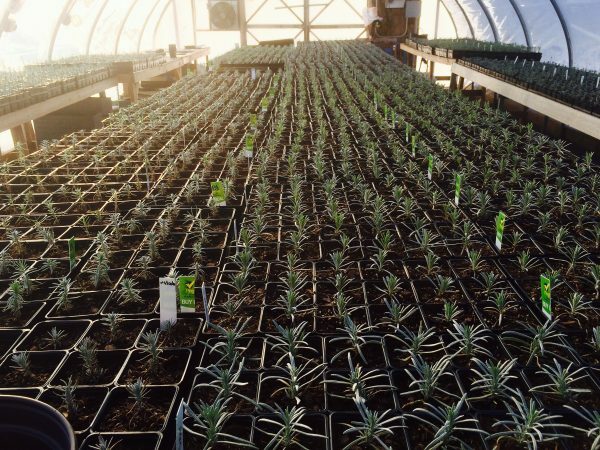 The lavender plants propagated at our farm are sold seasonally, which is typically May through July. We do not ship plants.